Eating a funfetti cupcake. Yum. I bet you didn’t see that one coming. But bear with me; I’m pretty sure this isn’t what you think it will be. 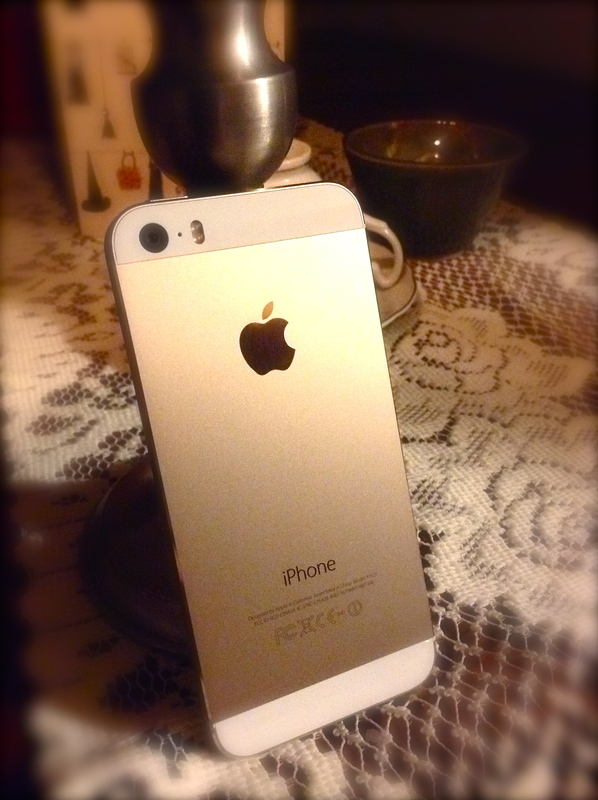 A couple weeks ago, I got my new iPhone. When I found out that it had finally come in the mail, I typed “ERMAHGERD, I AM EXCITE,” to my friend, just so she could understand the level of excitement emanating from me at that moment. It was new, it was different, it was updated, it was…. better!! I thought about the phone for a good portion of the day, contemplating it’s shiny new-ness, and laughing at my current iPhone 4 and it’s age related shortcomings, while simultaneously pleading it to continue working. I considered all of the extra features, imagined how fast it would be, and of course wondered about the awesome gold “plate” on the back of it. I picked the iPhone up at Office #2 after I got done from work at Office #1, gloriously parading the box around for the empty office and my imaginary sidekicks to see. Once I was satisfied that all the inanimate objects in the office had gotten an appropriate glimpse of the box that held the shiny new-ness, I promptly went home to begin The Transfer. In an effort to keep the excitement running as long as possible, I likened this to Mary Shelley‘s Frankenstein and (of course) imagined that I was Dr. Frankenstein, and the iPhone – my monster. I went through all the normal back-ups and phone activation. Through this activation process I finally understood that passwords control my life to the point that I’m not allowed to make a call from the number that I pay for, with the phone I bought with my money, unless I enter the secret password I set about 8 years ago (seriously, what the hell is the extra password for….). After going through all these steps and managing to not ruin, impair, or otherwise permanently disable my phone (honestly, I am completely non-technical. I can barely manage to get a blog posted with both links and pictures), my phone was…. A L I V E.
It then proceeded to say “hello” in more languages than I have fingers and toes, all while calmly walking me through set up. Pretty soon, I was back on the main home screen and ready to go. Done and done. And this anti-climactic ending, this smallest of denouements, my dear readers, is why a new iPhone, in all it’s shiny golden-backed glory, is like a funfetti cupcake with rainbow chip icing…. You see, I love those cupcakes. They shaped my childhood in a way that only sugar highs and the smell of baked goods can. 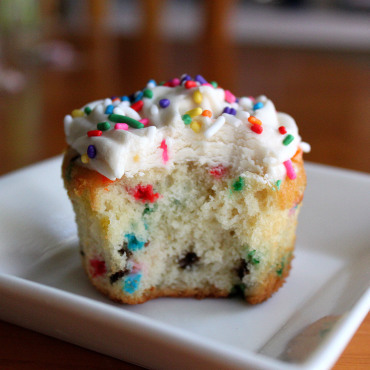 As a child, when you eat a funfetti cupcake, they are always delicious. And somehow, the deliciousness multiplies exponentially with the number of cupcakes you stuff into your face. But as you get older, something changes. You look at the cupcake with the same food lust as before. But you realize, once you finally get your gluttonous paws on it, that it’s just another funfetti cupcake with rainbow chip icing. In fact, it’s even a little dry from slight overcooking and being set up on the counter. And the icing, it’s still good. Well mostly, but now it bites with sugar in a way that is slightly less than pleasant. But you eat it anyway and you smile. Maybe even take another. And your deliciousness factor will not increase exponentially, but you’ll still remark on how good it is. You will talk about the cupcake and repeat, “I know, I love these things!” You will do this because it is expected. You will do this because you accept that it is expected and have subsequently become a willing participant. But most of all, you will do this because two cupcakes are always better than one, a new iPhone is better than the old, and the only language we all seem to understand is more. This entry was tagged iPhone, perspective. Bookmark the permalink.